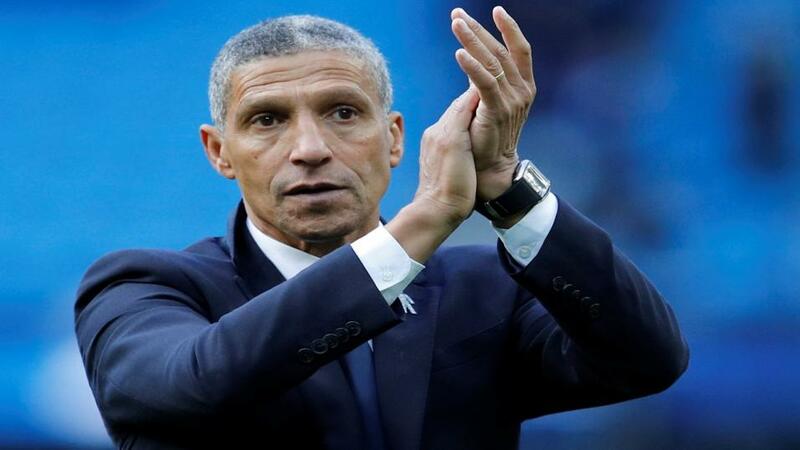 Will Chris Hughton be applauding his Brighton team after their match with Crystal Palace? Two bitter rivals clash when Brighton take on Crystal Palace. Opta presents the tale of the tape. "In all competitions, Glenn Murray has scored five goals in eight appearances in this fixture, scoring three in five games for Crystal Palace and two in three for current side Brighton." Murray is [3.0] to find the net. Brighton and Crystal Palace last met at the Amex Stadium in January in the FA Cup third round - the Seagulls won 2-1. They are [3.0] to win again. Crystal Palace's last away win at the Amex Stadium was in the Championship play-offs in May 2013, winning 2-0 thanks to a Wilfried Zaha brace; they've drawn one and lost one game there since. The Eagles are [2.84] favourites to win. Each of Brighton's last seven Premier League victories have been by a one-goal margin, last winning by more in February (4-1 vs Swansea). Brighton are [4.4] to win by one goal. Crystal Palace - who beat Burnley last time out - are looking for consecutive Premier League victories for the first time this season. They are [1.93] in the Draw No Bet market. Brighton haven't won any of their six midweek Premier League matches (Tuesday, Wednesday, Thursday), drawing three and losing three. The draw is [3.1]. Brighton have won four of their last seven games in the Premier League (D1 L2), as many as their previous 19 combined in the competition. They are [2.04] to win Draw No Bet. Crystal Palace winger Wilfried Zaha has scored five goals against Brighton in all competitions - more than he has against any other opponent. Zaha is [3.8] to score. Brighton manager Chris Hughton is still yet to defeat Crystal Palace in a league match as Seagulls boss (P2 W0 D1 L1). Crystal Palace are [1.48] to avoid defeat in the Double Chance market. In all competitions, Glenn Murray has scored five goals in eight appearances in this fixture, scoring three in five games for Crystal Palace and two in three for current side Brighton. Murray is [3.0] to find the net. Only Mohamed Salah (6) has scored the opening goal of more Premier League games this season than Brighton's Glenn Murray (4). He's [6.0] to open the scoring.